The Arctic environment is one of the biggest concerns for Russian experts and the international community. 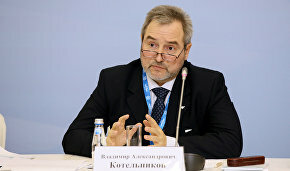 Researchers are working on new waste utilization technologies, volunteers sign up for waste removal expeditions, and the upcoming international forum Arctic – Territory of Dialogue will focus on environmental protection, said Russian Minister of Natural Resources and Environment Sergei Donskoi. Arseny Mitko, PhD (Technology), member of the Presidium of the Arctic Academy of Sciences and chair of the Academy’s Council of Young Researchers of the North, talked with arctic.ru about the anthropogenic influence on Arctic nature and the prospects for introducing an Arctic environmental safety standard. Mr. Mitko, is it true that technology-related influence is changing the environment in the Arctic? The technology-related factors of the anthropogenic impact on the Arctic environment are growing stronger with technological progress. Not only professionals but also the general public is becoming concerned about the environmental consequences of man's interference in the natural processes. According to various international organizations, the environmental situation in the Arctic is alarming because of the specifics of industrial location and industrial output, as well as circumpolar air currents. Our biggest concern is pollution of the Arctic with persistent organic pollutants (POPs), which are organic compounds that are resistant to environmental degradation. 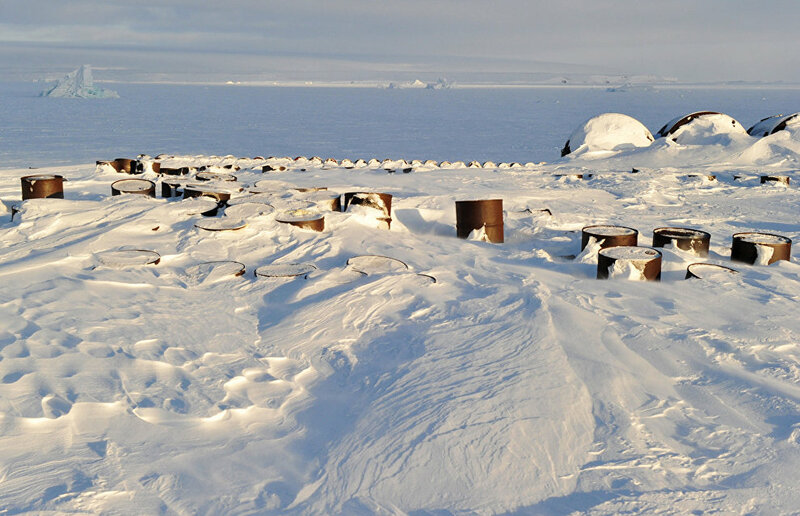 We have found these compounds not only in the soil but also in the organs of Arctic animals. The problem is further exasperated by pollutants that are brought to the Arctic by air currents from the low latitudes, which can take from several days to several weeks. In addition to the air currents, pollution reaches the Arctic via river and sea currents. Russian rivers such as the Yenissei and the Ob are major sources of pollution, especially during the flood season. Some of Russia's largest industrial centers are on rivers that run into Arctic seas. Is the Arctic divided into areas based on the level of pollution? There are several areas in the Russian Arctic where the environmental consequences of man's activity are especially heavy. There are 27 such areas, including 11 on land and 16 in the sea and on the shelf. Surveys have revealed negative changes in the natural geochemical background, the degradation of the soil cover and vegetation, and disruption in the biotic food chain. The territorial distribution of pollution impact zones is very irregular. According to our air pollution estimates, the most badly impacted zones are located near the Norilsk agglomeration and in the West Siberian oil and gas areas. Other pollution zones are the Murmansk Region, where large mining and metals companies are located, and the Franz-Josef Land Archipelago, where large amounts of scrap and waste have accumulated in the area of abandoned polar stations and military facilities. Mining and metals companies are a major source of negative influence on the Arctic. The largest such companies are located in Norilsk in the Krasnoyarsk Territory and Monchegorsk, Pechenga, Zapolyarny and Olenegorsk in the Murmansk Region. When will the new environmental standard be applied? What has to be done to make it an effective tool? I think that it will take a long time and that there are many pitfalls. The provisions of this document must be submitted to the concerned agencies of the intergovernmental Arctic Council and Russia's State Commission for Arctic Development for support. What will change after the introduction of the environmental standard? How will it change the operation of mining and metals companies? These companies' activities will only change after the introduction of laws adjusted to the environmental standard, which will be more effective if it's supervised by the state. Why should companies approve and act in accordance with this document? The country clearly needs this, but why would business invest in making its operation more environmentally friendly? The answer is that it conforms to the principles of harmonizing relations between research, the government and business as part of improving civil society relations. The application of the environmental standard can be stimulated by government incentives. Do you know the response of the companies that work in the Arctic? What do they think about the prospects for adopting this standard? Knowing that this is an unavoidable process, the companies will propose environmental projects and initiatives that will be the first to receive government assistance. The latest example is Rosneft's environmental atlas of the Kara Sea. Do other Arctic countries have similar environmental standards? Yes, the majority of the Arctic Council member states have environmental standards that are implemented under government programs and related legal regulations. Do you think the authors of the proposed standard will succeed, or will the document gather dust? If the document's authors want to succeed, they must condition themselves for a long, difficult and unrewarding fight, because the projects that are aimed at intellectual rather than economic benefit are unrewarding. Their road will be very long and winding if they walk it without government assistance, for example, a national environmental doctrine.